Whether you are looking for advice on your love life or just trying to get a general sense of what you should do next in life, a Tarot card reading might be the right choice to gain this insight. The art of reading Tarot cards is hundreds of years old, and this method of divination taps into powerful archetypal symbols to provide guidance to people even in contemporary times. 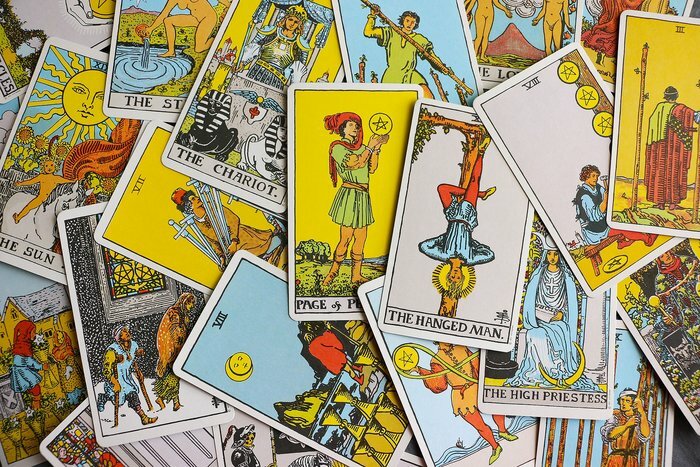 Tarot cards, which date back to at least 15th century Italy, were originally designed to be used in playing games. The earliest mention of them as tools for divination is in an 18th century manuscript. As the Tarot of Marseilles grew in occult popularity, game players moved on to other types of cards. A Tarot deck consists of 78 cards known as the Major Arcana and the Minor Arcana. Respectively, these words refer to the greater and lesser secrets. There are 22 cards in the Major Arcana including such figures as the Hanged Man, the Empress and the High Priestess. The Minor Arcana are more similar to modern-day playing cards as they consist of four suites. Traditionally, these are swords, cups, wands and coins, but both the Major and Minor Arcana have undergone many changes and interpretations in various decks, particularly in the 20th and 21st centuries. Tarot readers generally have a dedicated set of cards and one or a limited number of spreads they use for readings. Readings are not just about the individual cards themselves but the interplay between the cards as well as the specific situation of the individual who is getting the reading. Tarot readings can uncover profound psychological truths. If you're feeling lost in your love life or anything else, Tarot might be one way to provide guidance. A love tarot card reading could guide you to a better understanding of yourself and others and could set you on a new path.